Leverage Proven Expertise & Rich Experience ! 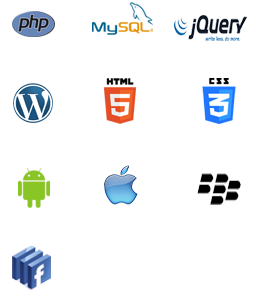 Arnion Technologies provides end-to-end solutions for the web world. Arnion 's strong team focuses on the emerging trends in web and aims at creating intuitive user-friendly web apps. Arnion Technologies' proven expertise and rich experience in web domain provides rich solutions in accelerated time and affordable budgets. Thinking About Converting Documents And Analogue Items To Digital Assets ? Arnion Is The Place To Be ! Digitization is a specialized, challenging and critical process aimed at preserving and sharing valuable documentary information. The digitization of rich documentary content and its dissemination through varied media yields rich dividends. Across the globe, governments, museums, libraries, religious organizations, corporate and NGOs are going digital. Digital documents are important digital assets for posterity. Digitization process requires a clear understanding of the project vision, defining the right strategy, adopting the best practices and selecting an expert partner. Whether an organization needs to scan and index its important documents or a library wants to digitize 18th century manuscripts, we are there for you ! We use the relevant digitization techniques and maximize project results within the parameters of infrastructure, defined standards, allocated costs and time duration. We ensure safety of original content and create world-class output. Our expert team has created an online encyclopedia involving thousands of pages, big cross-functional teams, diverse locations and complex technological challenges. The project was made online within a couple of months and has been archived in US Congress Library. Our team has also preserved and created archives for leading thought journals and magazines. Think Glocal ! Act Glocal !! Speak Glocal !!! Arnion believes that localization is the art of adapting solutions for local market. It includes multilingual adaptation of all kind of documents, software, website, online help, multimedia, etc. Localization goes beyond translation as it reflects local punctuation standards, currency symbols, date and time forms, concepts, symbols and culture. We believe a successfully localized product is one that appears to have been developed within the local market. One may have the best products, the best services and be the leader in home market. However, to be successful in the global market, one needs to speak the right business language! Arnion helps you communicate the message with local sensitivity and touch. Localize With The Experts Whose Tools Are Used By Translators & Localization Developers ! Give A Touch Of Mobility To Your Business ! The Mobile experience has become a part of our everyday life. The entire world has gone mobile. Mobile application development is a current generation service aimed at providing reliability, flexibility, and security to mobile users. Mobile Application Development is a tool that can be used to reach out to a wider audience and retain a bigger market share. Arnion Technologies’ provide mobile application development services enabling clients and users to experience the advantage of mobility. At Arnion, we have highly qualified and experienced developers who explore new ideas and come up with creative and fast solutions. Our Mobile solutions are developed using cutting edge technology and deliver innovative wireless solutions that cut costs, boost productivity and generate new revenues for clients. We are committed to provide high-quality services and excellent apps development experience to our clients. Our vision is to offer world-class design along with technical expertise for multiple platforms. We understand that every customer is different and has certain special goals, expectations and requirement hence our mobile application development process involves strategic planning, UI/UX design, development and on-time delivery. We firmly believe in providing extreme level of support and customer satisfaction. Ahmedabad - 380 015. Gujarat, India.